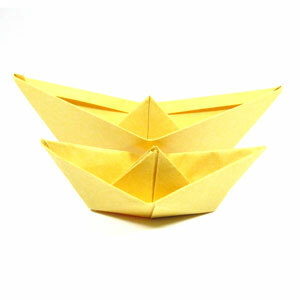 This page is for those who want the instruction to fold a traditional paper boat. The paper boat showing here is the traditional one. I remember learning this boat vividly when I was a child. It was a fascinating experience. The most important technique that you should remember is the "pocket fold" which will be applied twice to make this boat. The most fascinating feature of this boat is that if you apply the "pocket fold" three times (that is, one more time) , then you can make a smaller size (about 2/3) boat with an identical shape of the original boat. You can also learn "pulling fold" technique from this paper boat. Before working on this model, you need to know what valley-fold and mountain-fold are. If you know these two folding techniques, then you will have no problem in making paper boat. You may use any kind of paper to fold the paper boat. 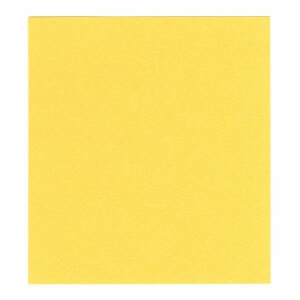 It is recommended to use a non-square paper. In this example, I am using the same color and texture for both front and back sides. But it is also okay if you use different color and texture.